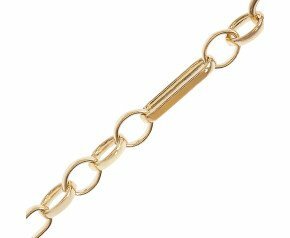 Offering both new and second hand gold Figaro chain, this classic design is a delightful addition to either a ladies or gents jewellery collection. 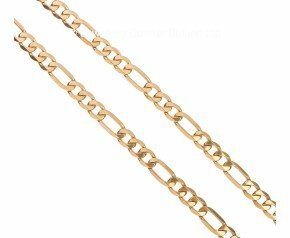 Figaro chains were originally created by Italian chain makers who are said to have been inspired to name the design by two notable operas including "The Marriage of Figaro" (Mozart). Figaro chain differ to other chains with the inclusion of 2 to 3 small links with an elongated oval link. With 9ct and 18ct gold variations, Figaro chain is a jewellery box classic that can be worn and enjoyed every day. 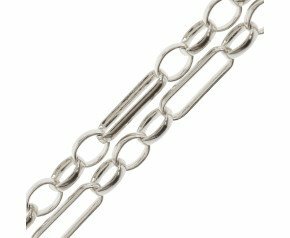 Buy Figaro chain from The Fine Jewellery Company and enjoy a lifetime guarantee against manufacturing faults on the new designs. 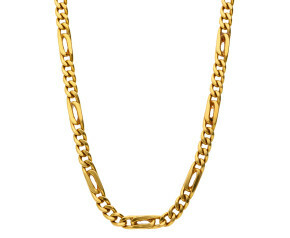 This classic style that can be worn by both men and women is an easy and simple design that can be dressed up or down. 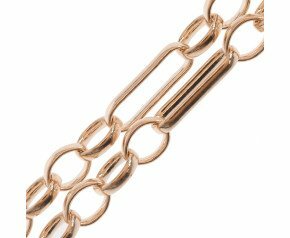 We offer 9ct and 18ct Figaro chain designs in yellow, white and rose gold variations.